August was a *busy* month. Our two biggest rallies, FMCA Madison and Escapade Gillette, were both this month. It was exhausting and exhilarating – *so* many people told us how much they learn from our seminars and videos, and it makes us feel wonderful. In addition to our standard seminars with hundreds of people in the audience, we also gave some hands-on classes to small groups; one on photo editing with Picasa and another we call ‘Camp Reboot’ that teaches those computer fundamentals that you would have learned in school *if* you had computers back when you went to school! Here’s our schedule for the rest of the summer. See our Event page for details. In case you missed it earlier in August, watch the latest ‘Gabbing with the Geeks’ and see Chris’ new office with custom furniture, two computers and three monitors. Also see Jim show off his new toy … an iPad2!. He shows how you can watch Geeks on Tour videos on the iPad now. Save the Date! 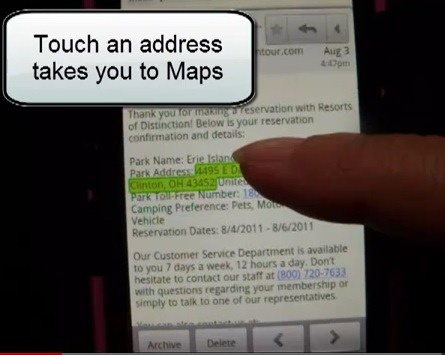 We have booked Paradise Oaks RV park for April 22-28, 2012 for our first joint RV Rally with our friends from TechnoRV. Lots of classes, lots of gadgets, get all your computer questions answered and have a good time too! See the Techno-Geek Learning Rally Event page on Facebook for more details. This article is going to explore the different notation used for entering Latitude and Longitude coordinates to find places in Streets and Trips. Sometimes you may need to convert the coordinates you have to the format that Streets and Trips understands. This article will show you how to make the conversions using Google Earth. The Garmin will get me right here to the entrance of this ranch. But when I try to put it in Streets & Trips 2011, I keep getting an error each time. I am trying to locate Cloud 9, Caulfield, MO. Cloud 9 Ranch is a membership park in the Ozarks and we are planning some events involving Geocaching. We want to be able to provide people with the correct coordinates for whatever device they are using. 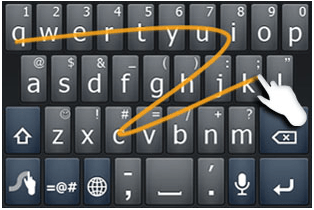 Swype is a new way to type on mobile/touch-screen devices. Instead of needing to lift your finger from the screen after each character, you only lift your finger after each word. You touch the first character of your word, then, keeping your finger on the screen, you swype to the subsequent characters. When you’re done with the word, you lift your finger from the screen. Swype deciphers what word was typed and it usually is correct. If not, it gives you some choices. Just touch the correct one. Swype inserts your word and automatically adds a space so you’re ready to Swype the next word. When we presented our Facebook seminar to a packed room at the Escapade RV Rally this week, we got the most applause for teaching how to block Apps, so we thought it would be a good topic for a newsletter article! If you’ve used Facebook for any length of time, you’ve probably been annoyed by games and other apps that your friends may be playing. Many of my friends, for example, were playing Farmville. 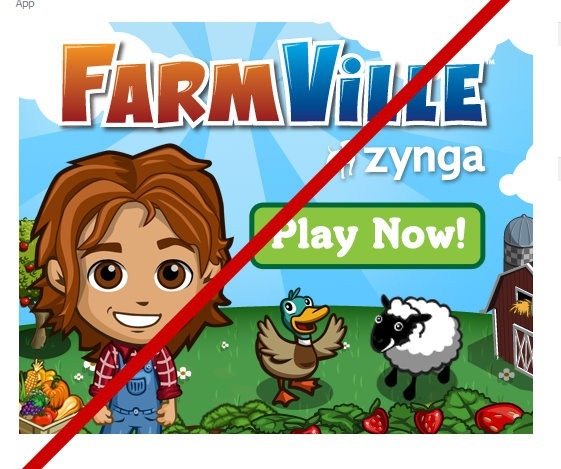 My Facebook home page was quickly overrun with invitations to play Farmville, and notices when a friend’s crop was doing well, or a pig needed some more corn?! I didn’t want to unfriend a person just because they were playing this game. Who am I to say what game they should or shouldn’t play? But, I really didn’t want all those notices on my News Feed. Published by MrsGeek, in Newsletter. Tagged with Block Apps on Facebook, GPS Coordinates, Swype, Techno-Geek Learning Rally.